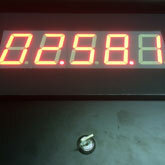 A large LED clock providing countdown during play. Remotely operated by the gamesmaster. 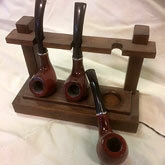 Three pipes and a pipe rack. When the three pipes are replaced in the rack something else in the room may be triggered. Inspired by the Sherlock Holmes quotation '... a three-pipe problem'. 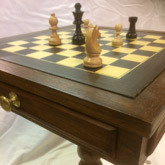 A chess table and set of chess pieces. When a certain game position is reached a secret drawer pops open in the side of the table. 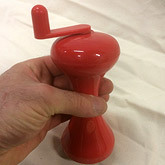 3 Hand crank generators must be wound simultaneously in order to reveal a code which is required for another puzzle. Live Room Escape games are becoming increasingly popular throughout the UK and Eagle Designs has considerable experience designing and building puzzles for them. Countdown clocks – wired or remotely operated. Hidden locked panels and cupboards which open by remote control. UV lighting effects to reveal hidden text. RFID based puzzles – used to detect the presence of objects without contact. Whatever your puzzle idea is please let us know and we'll see if we can help.